Valentine’s Day: it’s roses, romantic music, perhaps a night out (or in) with a lover. 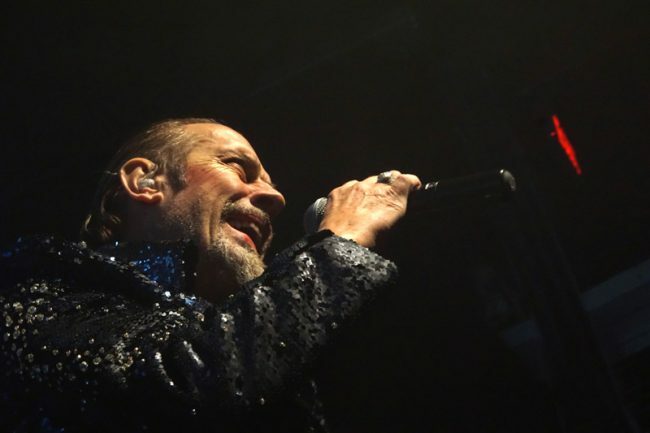 Anyone who came out to Terminal 5 on Feb. 14 could have checked all those Valentine boxes as Peter Murphy and David J glided through a set of Bauhaus tracks, celebrating nearly 40 years since the band first went into the studio to record their debut album. Rubies typically mark a four-decade anniversary, and whether it was the lighting or Murphy’s red scarf, there was a blood-red-and-black, ruby tinge to the evening. 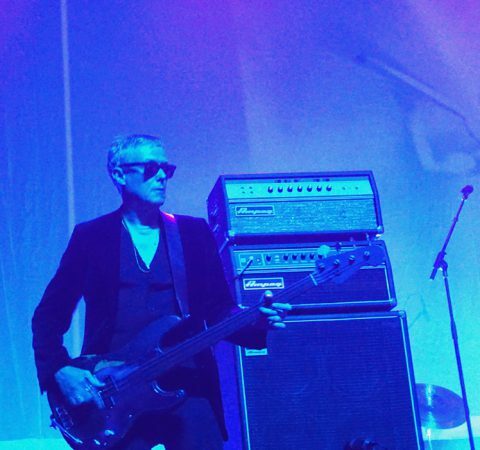 Nearing the end of the “40 Years of Bauhaus Ruby Celebration” tour, two of the band’s founding members, Murphy and bassist J, along with guitarist Mark Thwaite and drummer Marc Slutsky, slipped through the entire In the Flat Field before scattering in some later tracks. Sprinkling red rose petals over his head as he slithered through “Bela Lugosi’s Dead,” the audience stayed entranced by the goth classic, ceremoniously chanting “Oh Bela, Bela’s undead.” (The single is one of the first songs the band ever recorded together in 1979, and it was done in one take.) A re-master of the band’s The Bela Session (Stones Throw Records), featuring three previously unreleased tracks (“Face,” “Boys,” and “Bite My Hip”), was released last November. Flowing years past Flat Field into Burning from the Inside, Murphy, topped with a golden crown for “King Volcano,” pulled out the melodica to give “She’s in Parties,” the full effect, and kept it around for 1981’s “Kick in the Eye” and “The Passion of Lovers” off Mask. As the Ruby tour comes to a close at the end of February in San Francisco, Murphy will remain in the Bay Area, which still holds a solid, goth/industrial scene intact, with a month-long residency at The Chapel. March 5-23, he’ll play all of his solo albums in their entirety—with the exception of Holy Smoke and Lion—and join J for five, sold out “Mr. Moonlight” (nod to their 1983 track “Who Killed Mr. Moonlight” and J’s book of the same name) sets of Bauhaus, before culminating in A Tribute to Bowie (also sold out), March 26-27.